Mussoorie is very rightly called the Queen of Hills. 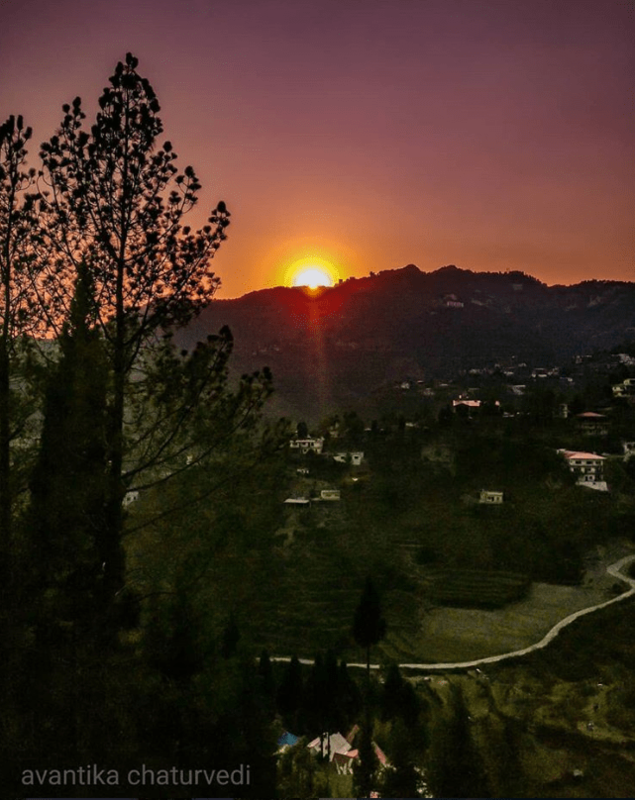 Not only is it an extremely popular destination among tourists, it also acts as a rest stop for trekkers going up towards various trails, especially the Nag Tibba trek. 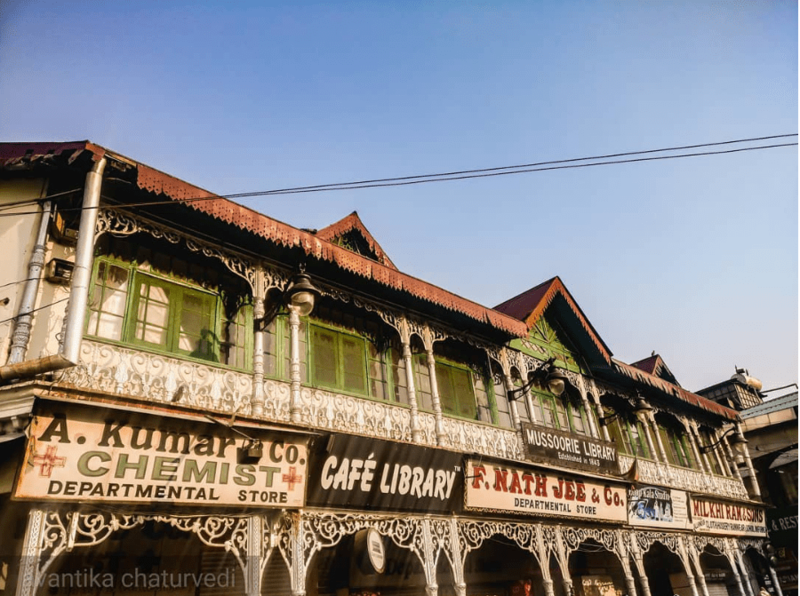 Here is how you can make the most of the Shimla of Uttarakhand in a single day, on a tight budget. There are hardly any direct buses from Delhi to Mussoorie. One must take a bus to Dehradun and get on a State Transport bus starting from the railway station to Mussoorie. The one and a half hour ride is beautiful starting from the foothills ending right in the lap of Garhwali Himalayas. Buses ply at half an hour intervals from 6 am to 5 pm every day from Dehradun railway station to Library Chowk in Mussoorie. This town becomes a tourist hotspot in the summers and hence prices of every tourist service are inflated. It doesn’t come as a surprise then that it would be difficult to find a place to stay that charges less than 1500 rupees a night. For a budget backpacker, this is half of the budget of an entire trip! 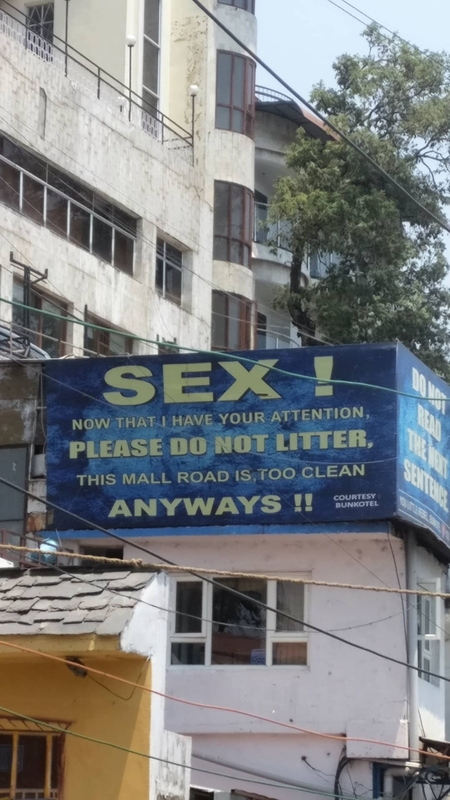 This is when hostels and dharamshalas come to our rescue. This Mandir provides decent rooms at 300 rupees per night. But usually the wait here is too long and it’s difficult to get a room at a short notice. Right next to Laxmi Narayan Mandir, this Gurdwara has rooms at 600 rupees a night. Now the rooms aren’t well ventilated, but the bathrooms are quite clean. The rush here is lesser than the mandir. This a backpacker’s hostel located in the hustle bustle of the Mall Road market. While websites list this place at 1000 rupees a night, I know somebody who stayed here at 500 rupees a night too. But if you’re looking for a private room, this place isn’t for you. This hostel only has bunk beds with community bathrooms. The very famous and extremely beloved children’s writer, Mr. Ruskin Bond sits at the Cambridge Book Depot every Saturday from 3.30 om to 4.30 om and is kind enough to sign books for people and get pictures clicked. The line starts forming outside the store from 3.00 pm onward so make sure you reach on time and don’t miss out on this opportunity if you’re a book lover! While you can get around Mussoorie in a a cycle rickshaw for 25 rupees per person, these only ply from Library Chowk to the end of The Mall Road. Another alternative to get around the town is on rented bicycles. While during summers the prices are really high and they charge around 800 rupees an hour, you can put your bargaining skills to use and get them for 500 bucks instead. 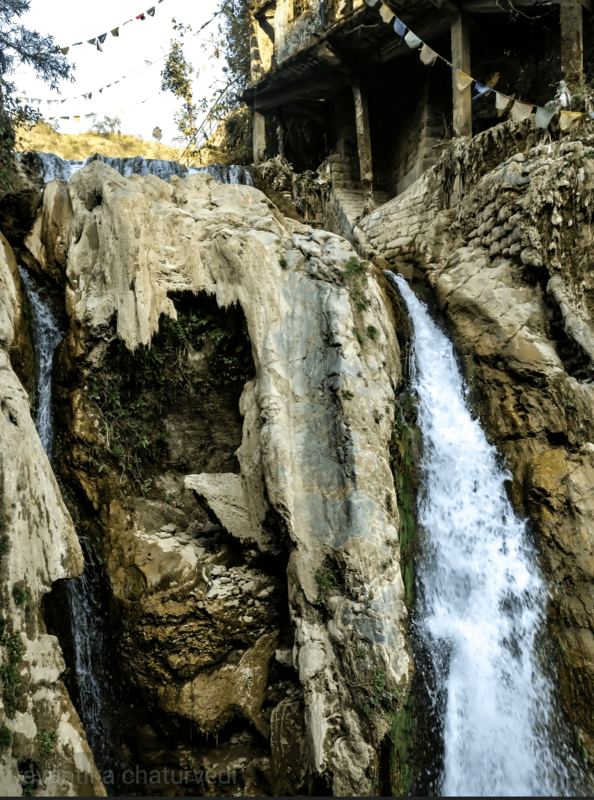 While Mussoorie is most known for its Kempty Falls, the sad state of the water there makes it a big no. 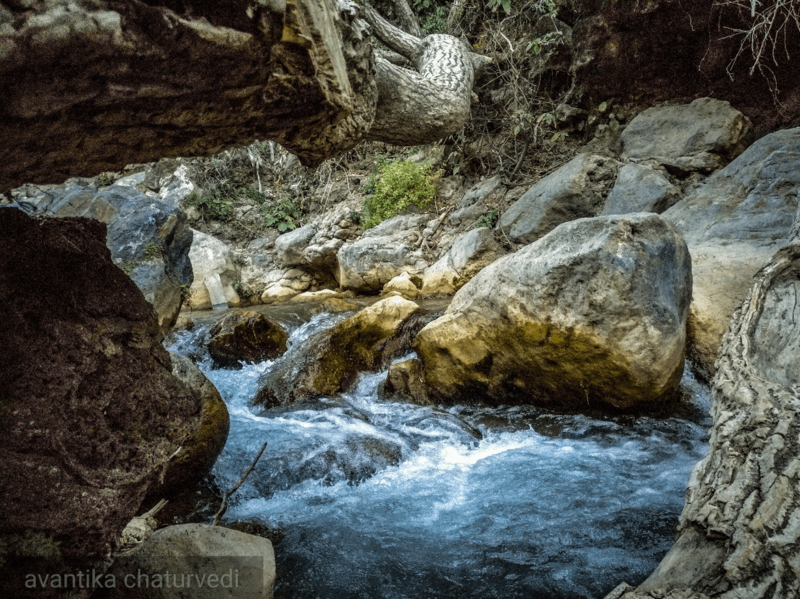 There are other alternative waterfalls too out of which Jharipani and Bhatta falls are still crowded and polluted. Mossy falls are known to be relatively cleaner and quieter. To get there, one needs to hire a taxi and then hike 2 kilometers till the waterfall. As a traveller or tourist, it is important that you conserve the beauty of these last waterfalls otherwise there would be nothing to see or do in the Queen of Hills. 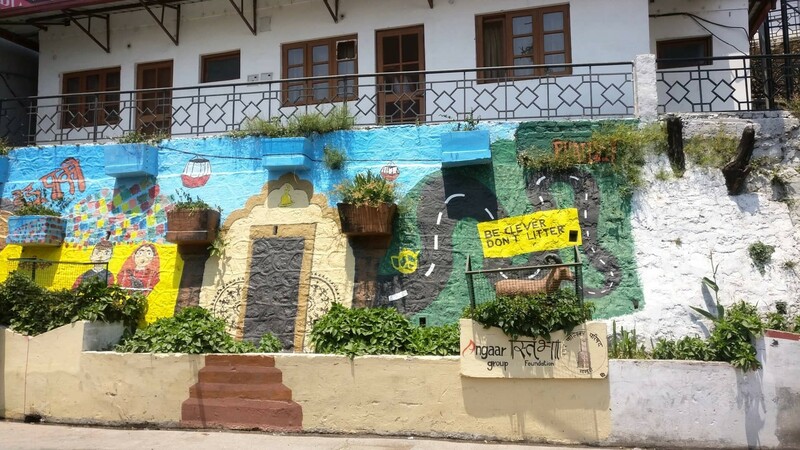 This little cafe tucked away at the edge of the town in Landour Bazar is worth the walk. The balcony overlooking the Doon Valley is one of the biggest reasons why it is so popular among the visitors, Don’t forget to order the Shin Ramyun with some ginger beer and your lunch will be sorted. Shin Ramyun is South Korea’s highest selling ramen and is worth every penny spent over it! While a lot of websites list this cafe as a good pick to eat, I found it to be quite overrated. The staff at the cafe is very rude and won’t care to even return a smile. 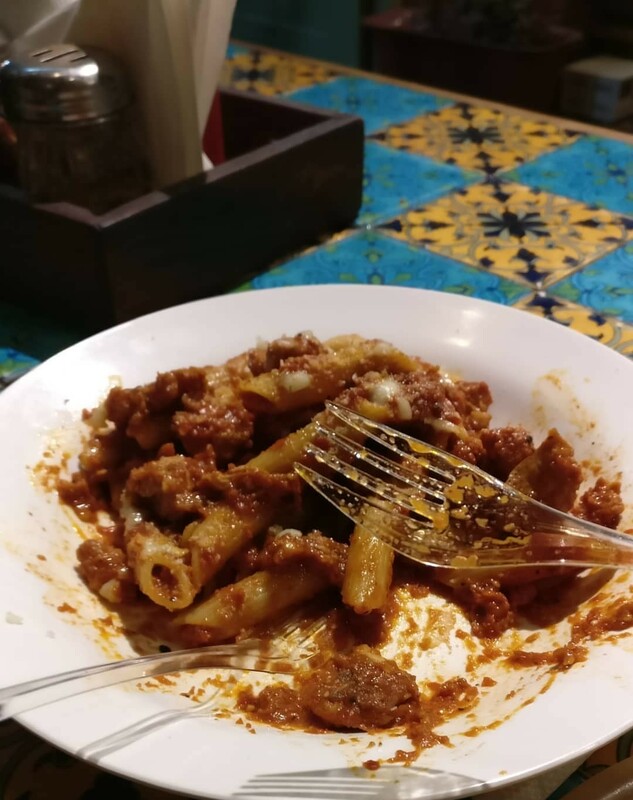 The red wine sauce pasta I ordered was terribly average and to top it all, our food came with disposable plastic cutlery. This has to be my favourite place to get a quick meal in Mussoorie. 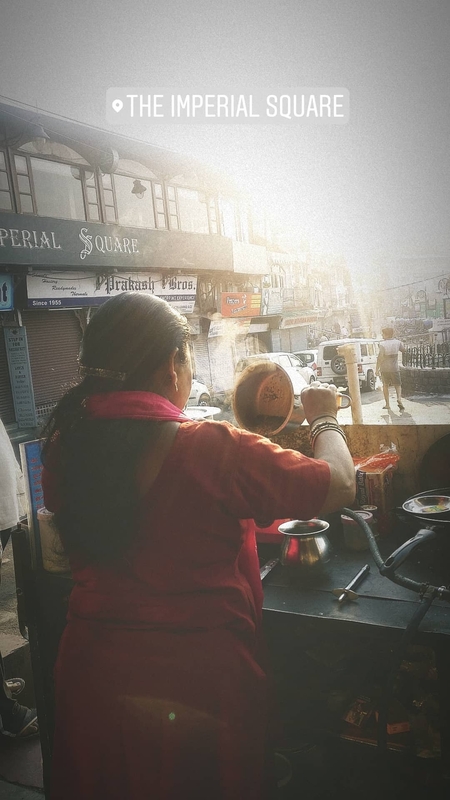 It is one of the first shops to open up in the morning in all of Mussoorie and then couple here serve some delicious Maggie, omelette and paranthas. It is located right at Library Chowk and is great for a nice cheap meal. 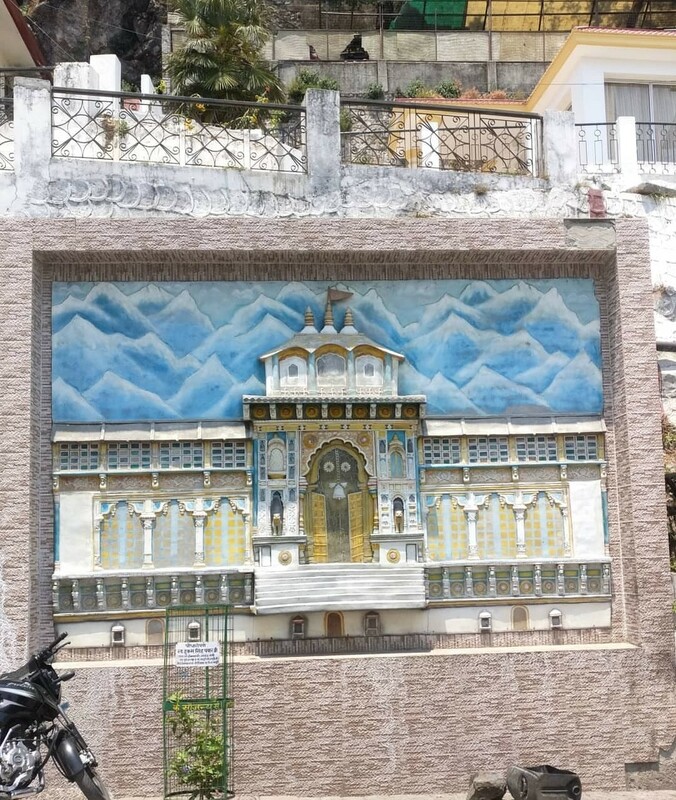 So that is how I spent my entire day in Mussoorie before heading out for the Nag Tibba trek. Do you think I left something out or could have added something to my day? Don’t forget to let me know in the comments below! 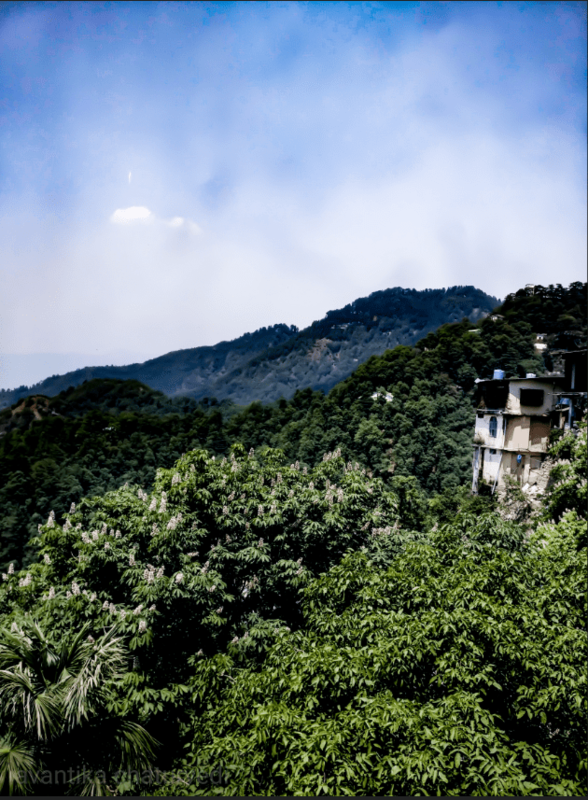 To check out more pictures from Mussoorie and elsewhere, don’t forget to follow me on Instagram!